When Should You Have Your Subaru Fuel Filter Replaced? Subaru engineering is among the best in the world, but not all gas is the same. That's why every Subaru, like any other gas-powered vehicle, is equipped with a fuel filter. Over time, it will become full of the particulates and debris that it prevents from getting into the fuel injectors and, ultimately, the engine. The replacement of your vehicle's fuel filter is a part of regularly scheduled maintenance, and you should be able to find a guide of this regular service in your Subaru owner's manual. A fuel filter may need to be replaced as soon as every 20,000 miles or it may last 40,000 miles or longer. 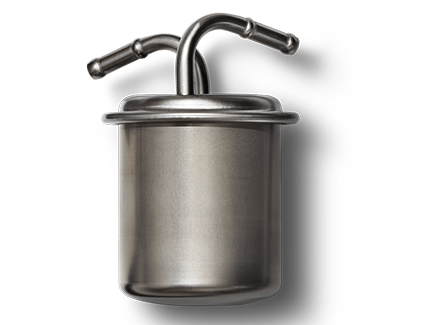 How Do You Know if a Vehicle's Fuel Filter Needs to be Replaced? The best and easiest way to ensure that your fuel filter is replaced at the appropriate times is to keep up with regularly scheduled maintenance as prescribed by the owner's manual or one of our knowledgeable service advisors. If you wait until the fuel economy and performance of your vehicle declines, then you risk damage to other components like the fuel pump. When we look to see if a fuel filter needs to be replaced when we don't know the mileage on the current filter, our technicians will typically hook the vehicle up to a specialized fuel pressure gauge to determine if the fuel pump is providing enough fuel pressure to the engine. If not, there's a good chance that the fuel filter is obstructing the flow of gas. Information pages like this one are just one way that you can enjoy a better customer experience at Carr Subaru. Since we couldn't possibly answer every possible question about your Subaru here, we invite you to give us a call or stop by our convenient location at 11635 SW Canyon Rd, Beaverton, OR 97005. For your convenience, our online Subaru service appointment form only takes a moment to fill out. Why Trust the Dealership Experts at Carr Subaru, Serving the Portland Area? 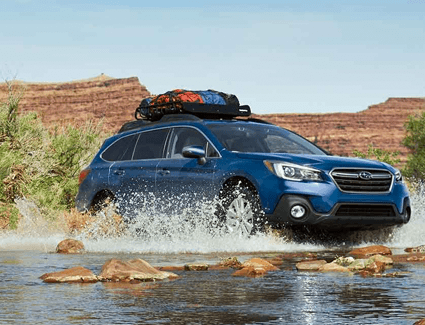 From the renowned BOXER® engine to the legendary traction of standard Symmetrical All-Wheel Drive, nothing on the road is engineered quite like a Subaru. When it comes to the maintenance, service, and repair of your Subaru, it only makes sense to trust those who know it best. That's why we employ some of the best factory-trained technicians in the business at the Carr Subaru service center. We're a factory-authorized dealership, so you can trust the warranty of your Subaru will remain intact. What's more, we'll only use genuine OEM Subaru and factory-approved parts, products, and accessories when taking care of your Subaru. Find out more in our service information pages, and discover how easy it is to get the most from your Subaru with the right care.